Los últimos días vistos del rey captures the coronation of King Felipe VI of Spain through a compilation of snapshots of the TV broadcast on Spanish public television (TVE). The book proposes a visual analysis of the official image of this historic event as it was broadcast to the Spanish people, embodied in an object-book that presents an "unofficial image" of it. This work continues the narrative initiated with Los últimos días de Franco vistos por TVE and Los primeros días del Rey vistos por TVE, two books published in December 1975 by the Ministry of Information and Propaganda. 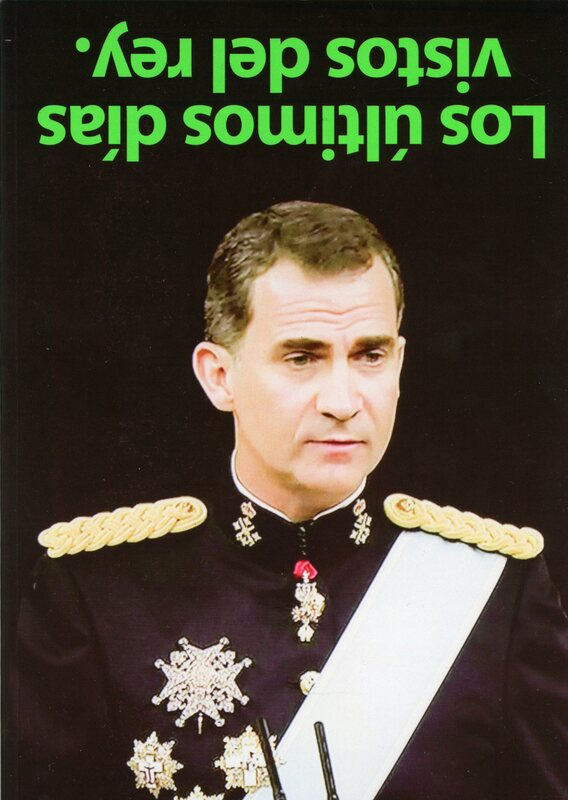 Los últimos días vistos del rey completes the historical trilogy started with these two books, and includes an account of the abdication of King Juan Carlos I on June 3 2014, in an attempt to subvert the official image featured in the first two volumes.